Recent polling has shown broad public support for a carbon price in the U.S., with a significant majority of Americans favoring a tax on carbon emissions as a means to confront and combat climate change. 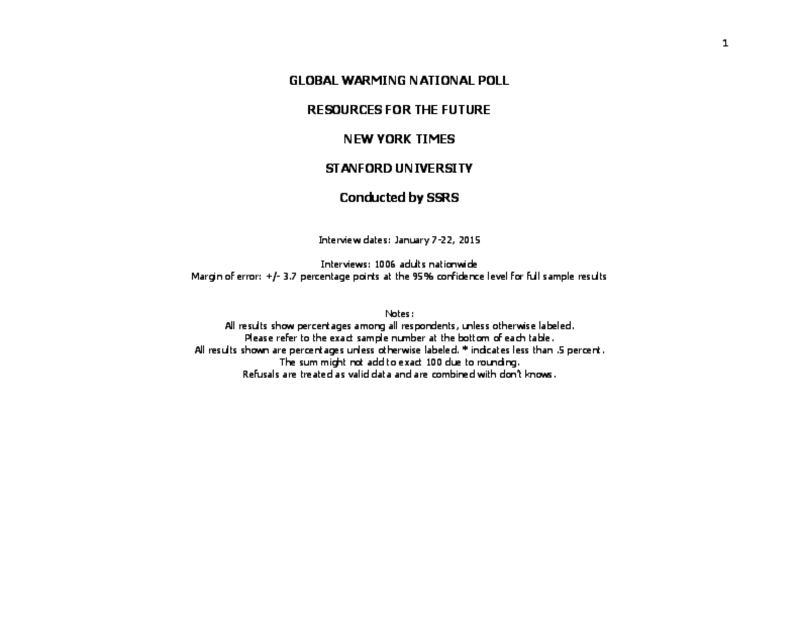 According to a survey (http://rff.org/Documents/RFF-NYTimes-Stanford-global-warming-poll-Jan-2015-topline-part-3.pdf) conducted in January 2015 for Stanford University and Resources for the Future, more than 60 percent of respondents approve of charging a fee for polluting emissions, which climbs to two-thirds (67 percent) backing if the new revenues were directed to consumers. Copyright 2015 Resources for the Future (RFF), Stanford University.